When a person reaches 5th dimension consciousness, they may experience existing in a permanent state of peace, bliss, love, and joy. No effort is required on their part to remain in this state. This takes place naturally and automatically. All dissonant energy is automatically filtered out. In addition to automatically existing in a permanent state of peace, bliss, love, and joy, people who have reached 5th dimension consciousness may begin to automatically see themselves in everyone whether it be humans or animals. They may also begin to automatically feel love for everyone. Furthermore, no negative thoughts stream into the mind of a person who has reached 5th dimension consciousness. In fact, all negative thoughts are automatically filtered out of their mind. The mind is also automatically quiet without the constant chatter that flows into the 3rd dimension mind. In fact, there are not very many thoughts that enter a mind that has reached 5th dimension consciousness unless the thoughts are necessary in moving them from one event or moment to the next event or moment. When a person reaches 5th dimension consciousness, their perception of time may slow down considerably. Time on the clock of the wall may seem to pass by more quickly, but the mind does not perceive that very much time has passed. This may be compared to what is said happens when a person experiences physical death. 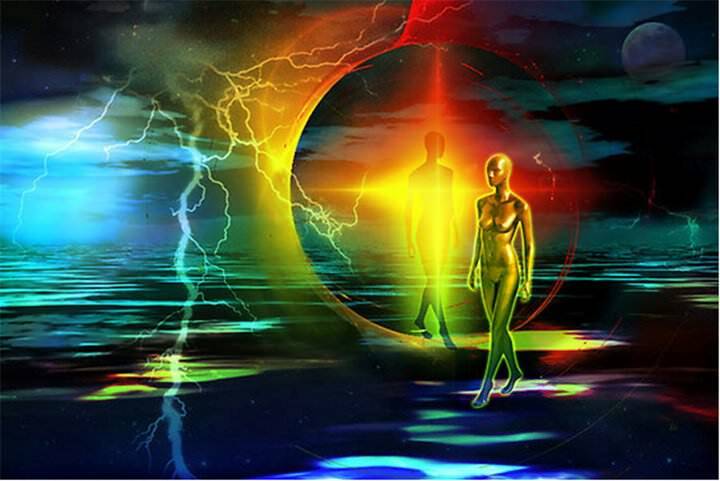 During physical death, a person transitions from 3rd dimension consciousness to 4th dimension consciousness. It is said that while years may pass on the Earth, it may seem like only minutes have passed in the spirit world. Our perception of time slows down as we transition from 3rd dimension consciousness to 4th dimension consciousness during physical death. This is why it may seem that not much time has passed in the spirit world while a lot of time has passed on the Earth. Those who have ever had a close brush with death as a result of an accident or nearly being in an accident, may have noticed, that their mind starts moving more slowly in these situations also. Everything appears to happen in slow motion. The soul is getting ready to transition from 3rd dimension consciousness to 4th dimension consciousness in these situations so that the person may exit through the portal of death. Hence, their perception of time slows down. Sometimes a change to the divine plan for the person’s life is made, however, and they miraculously barely escape from harm often at the last second. One may also notice that if they use Self-Hypnosis or meditation, it may also seem as though not much time has passed, but according to the clock on the wall, a lot of time may have passed. Again, in these cases, the mind is transitioning beyond the 3rd dimension. The same phenomenon happens while we are physically alive in a 3rd dimension body on the 3rd dimension Earth, and our energy vibration increases, and we ascend to 5th dimension consciousness. Our perception of time slows down. When a person reaches 5th dimension consciousness, they only live in the present moment with no reference to the past. They can access past memories if they need to, however, a person who has reached 5th dimension consciousness does not dwell in the past. Their mind is automatically focused on the present moment with no effort required on their part at all whatsoever. It is simply a state of being that they automatically live in. Since a person who has reached 5th dimension consciousness is automatically living in the present moment, they also do not have any reference to the future which means that they do not have any worries on their mind about the future neither. They simply live from moment to moment and from one event to the next event. A person who has reached 5th dimension consciousness may also experience increased psychic and intuitive abilities. 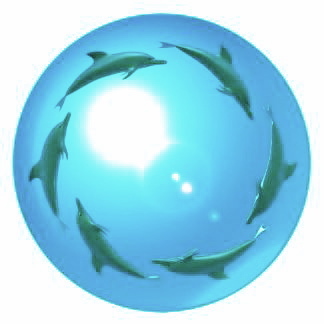 They may experience any of the following: Clairvoyance (seeing beyond the 3rd dimension/3D), Clairaudience (hearing beyond 3D), Clairsentience ( feeling beyond 3D), Clairgustance (tasting beyond 3D), Clairsalience (smelling beyond 3D), Clairempathy (feeling what others feel), Claircognizance (Information that a person had no prior knowledge of flows into their mind automatically from an unknown source. ), Telepathy, Premonitions, ESP (Extra Sensory Perception), Prophecy, split consciousness, Kinetic Energy (moving physical objects without touching them physically and without intending to move them), Psychokinesis (moving physical objects without physically touching them when intending to move them), Psychometry (touching an object and being able to feel the energy that has been absorbed by the object), and other psychic phenomena. A person who has reached 5th dimension consciousness may also shift from a state of mind based on belief to a state of mind based on intuitive knowing. Intuitive knowing goes beyond one’s belief system. It is an inner knowing. Similarly, one may also automatically know whether information is true or false based on how the energy of the information resonates, as everything in existence is simply energy. There is nothing in existence that is not energy. Even our thoughts are energy. Manifestation is also much easier when a person reaches 5th dimension consciousness. No meditations, visualizations, rituals, putting a lot of energy into statements of intent, nor any focus on nor knowledge of the Law of Attraction is required neither. Just a simple, light thought about what is desired is enough to manifest it into physical reality, and in a lot of situations, no thought about their desires is even required, as everything is simply synchronized so that what they need is there for them exactly when and where they need it. This is indeed a very interesting time in which to be alive on the Earth. We are headed to a state of existence that is free from the dissonance and the restrictions of the 3rd dimension, and it is a wonderful and beautiful state of existence to live in.